Ostentation of the Subject is a practice that is asserting itself ever more in today's world. Consequently, criticism by philosophers, psychologists, sociologists, and anthropologists has been to little effect, considering that they are not immune to such practices themselves. The question of subjectivity concerns the close and the distant, the self and the other, the other from self and the other of self. It is thus connected to the question of the sign. It calls for a semiotic approach because the self is itself a sign; its very own relation with itself is a relation among signs. 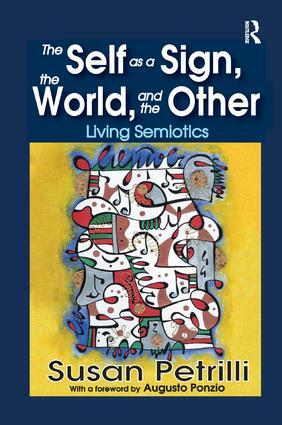 This book commits to developing a critique of subjectivity in terms of the material that the self is made of, that is, the material of signs.Susan Petrilli highlights the scholarship of Charles Peirce, Mikhail Bakhtin, Roland Barthes, Mary Boole, Jacques Derrida, Michael Foucault, Emmanuel Levinas, Claude Levi-Strauss, Maurice Merleau-Ponty, Charles Morris, Thomas Sebeok, Thomas Szasz, and Victoria Welby. Included are American and European theories and theorists, evidencing the relationships interconnecting American, Italian, French, and German scholarship.Petrilli covers topics from identity issues that are part of semiotic views, to the corporeal self as well as responsibility, reason, and freedom. Her book should be read by philosophers, semioticians, and other social scientists.